On the evening of 8th December 2013, a fatal accident occurred at the junction of Racecourse Road and Hampshire Road in Little India. In no time a small crowd had gathered and emotions started to run high. No one knew who cast the first stone, but what followed was an alcohol fueled frenzy lasting more than two hours and involving more than 400 rioters. More than 25 emergency vehicles were damaged, including 5 that were overturned and set on fire. The riot police was called in, and in the course of dispersing the crowd, over forty personnel sustained injuries. So what exactly do the Little India Riots and the Financial markets have in common? The Riot was triggered off by a singular event of the most tragic proportion. The late Sakthivel Kumarvelu was enjoying his regular night out after a long week at work. Unfortunately he had too much to drink, attempted to board a bus drunk, and began to cause trouble in the process. Ejected from the bus by the driver and his assistant, he was tragically ran over and pinned under the rear left wheel of the vehicle. Emergency personnel pronounced him dead on the spot. Financial market collapses were also triggered off by single events. While conditions leading up to collapses will be in the making for a long time, there will be a tipping point from when it becomes full blown. The Great Depression in 1929 stemmed from the Black Monday stock market crash on 28th October 1929. In 1997, regional economies have become susceptible from the red hot growth in the previous years but it is the raid on the Thai Baht by speculators that tipped the scales into a full blown Asian Financial Crisis. The memory of watching Lehman Brothers collapse on TV in 2008, and the subsequent fallout remained fresh in my mind. These events define the subsequent market collapses. Videos posted on the Internet showed a highly charged mob bent on destroying anything that lies in their path. I see grown men hauling chairs, bins, and whatever objects they can lay their hands on against the bus, I see them getting together to overturn police vehicles, to set fire to an ambulance. I see them cheering when rescue personnel on the scene took cover and ran for safety. They were emboldened by each endeavor, their bravado drives them to push the limits even more. They have lost all rationality. The same goes for a mob chasing higher and higher prices during a bull run. When everyone talks about nothing but investing in stocks. When all they care was how much money they have made during the previous week and how much more they can make this week, all rationality goes out of the window. Greed takes over and drives one to do silly things. Many in the mob would have no idea why they are rioting. They probably might have know that there was a fatal accident, they might have some misgivings against the way emergency personnel handled the issue, but that is scant reason for anyone to be smashing up emergency vehicles and setting them on fire. Ask the rioters why they rioted and they will be hard pressed to come up with a logical explanation. The same goes for many investors during a bull run. They have lost sight of the fundamentals supporting the run up in prices. There is no firm grounding for them to buy, but they still do anyway. In doing so they fuel the fire and drive up prices even more. Ask any investor why they are bullish during a massive bull run and you too will be hard pressed to extract the logic behind. Furthermore, nobody would have predicted the riot. In many countries around the world or the region perhaps, but in safe and sunny Singapore where the last riot took place over four decades ago, it took many by surprise and hogged the headlines for days. With the benefit of hindsight many are now saying that with the liberal immigration policies and pent up frustration it is only a matter of time before something like this happens. (Find me someone who have predicted the riot BEFORE it happened and I will make Alvin walk down Orchard Road wearing nothing but a Santa suit and a Big Fat Purse). Truth is, the riot that took place in Little India last week was an unknown unknown, a total black swan. So too are financial crisis and market collapses. No one could have predicted market collapses. Of course given the millions of people with an opinion to air it is only a matter of time before someone hits the jackpot with a timely prediction. Some might even get lucky and make the right call twice. The truth is, the complexity of the financial markets is mind boggling and simply too much for anyone to assimilate and predict. 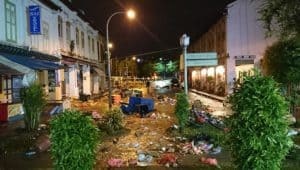 The Little India Riot was a destructive event. The damage to property runs into millions. Over turned and burnt out vehicles, fire burning in the streets, the trail is obvious for all to see. The same thing happens during a market collapse. Companies go bust, governments buckle under financial pressure and huge amounts of money is wiped away from the financial system in the blink of an eye. Destruction of a different kind but destruction nevertheless. 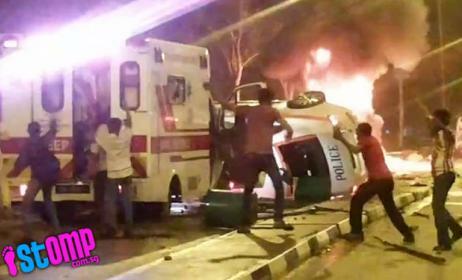 I have drawn five parallels between the Little India Riot and market crashes. They are both triggered by a singular event, the people involved are overrun by emotions, many have no knowledge of the reasons behind their actions, both are totally unpredictable black swan events, and both events cause great destruction to property. The final and perhaps most poignant parallel lies in the aftermath. In the case of the Little India Riot, after the carnage is over and the dust has settled, the Government would have installed further measures to prevent future occurrences, the Police and Civil Defense Force would have benefitted from experience on the ground. The media would have had a field day and all of these parties come out none the worse for wear. It is the troublemakers of that evening that bear the stiffest consequences. They would be rounded up one by one. They would be charged in court and handed stiff punishment. Eventually they would have their work permits rescinded, and they would be sent home never ever to set foot into Singapore again. In the case of a market crash, after the carnage is over and the dust is settled, companies that are still solvent would have emerged stronger and fitter. Analysts who have made right predictions would be glorified while those who did not would live to predict another day. The financial markets and institutions will continue to function. More often than not it is the retail investors who bear the stiffest consequences. Retail investors who got their emotions whipped into a frenzy, retail investors who choose to participate with the mob, retail investors without the slightest inkling of what they are doing and why, retail investors who eventually succumb to a totally unpredictable black swan. In the study of crowd psychology, two things happen when a group of people converge. There is an impression of the universality of behaviour and the mob deindividualises. What this means is that people in the group sees others in the group behaving similarly and imagine that to be the only course of action. In doing that, they are no longer concerned whether their individual actions are right or wrong. They relinquish personality responsibility to the mob. 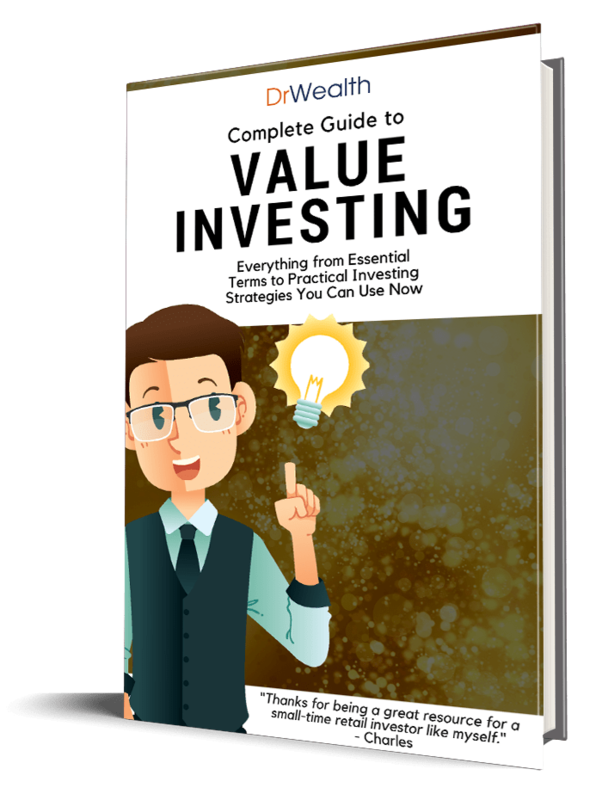 If everyone around you is caught in a frenzy, buying stocks on contra and doubling their money every week, it would be far too easy to imagine that to be the only course of action and jump head in. After all, it is everyone’s responsibility that they are doing the sound thing. If the market were to crash tomorrow, everyone else around you would be in the same serious trouble. Unfortunately we all know how that story ends. So Dear Retail Investors, the next time you are caught up in a mob like behavior during a bull run, remember the Little India Riots. The memory shall serve you well. Interesting pointers! As a fund that thrive on black swan events, would like to share and highlight that “Black Swan” events are totally predictable instead of “unpredictable” as stated. In the case of Little India riot, it was totally predictable too! With a large number of foreigner with the profile of male, lowly educated, drunk and has a different cultural view, it is a matter of time when a “trigger” event occurs to start a riot. Hi Johnson, thanks for your comment. I am not sure if our understanding of Black Swan events are similar. Nassim Taleb lists three conditions for an event to be considered a black swan. It has to be first an outlier, brings about extreme impact and finally and most importantly, human nature causes us to concoct explanations to explain the occurrence after the event has happened. Cliche, but hindsight is always 20/20. To me a black swan is an unknown unknown. If there are contingencies in places to contain and mitigate the effects of say an epidemic outbreak, then it becomes a known unknown and I am reluctant to consider that event a black swan event at all. I am interested to find out more about your fund. There is little to be found online, so do drop me a mail at jon@bigfatpurse.com. Let’s chat there.